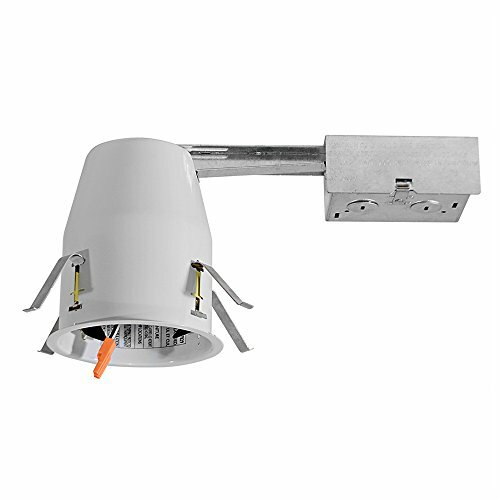 This 4 Inch dedicated LED can housing is designed for remodel installations and is suitable for use in ceilings where the housing can be in direct contact with insulation. Remodel housing installs into existing drywall or wood ceiling with no above access. Air tight construction reduces energy costs by reducing the amount of air leakages through the ceiling. Contains one 1-1/8″, six 7/8″ knockouts and four romes pryouts with strain relief. Four remodel clips secure housing and accommodates 1/2″ abd 5/8″ ceiling materials.